Cur/Lab Mix. Very Sweet Dog. 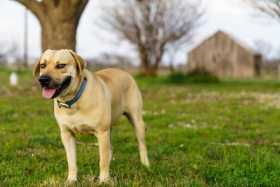 Is Heartworm Positive And Is Scheduled To Receive Treatment. He Needs This Treatment Or He'Ll Die. Has All His Vaccines But Does Not Have Any Tags On His Collar.